IHG® Rewards Club - Jogos - Kiss Ltd - Q.U.B.E. 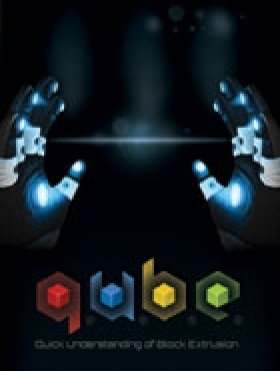 ABOUT THE GAMESet in a mysterious and abstract sterile environment, Q.U.B.E. (Quick Understanding of Block Extrusion) is a first-person puzzle game that challenges players to navigate each level by manipulating coloured cubes that surround them. There’s little to go on as the game begins – the player is dropped into an all-white room with few instructions, and simply has to figure their way ou… t. The tone of game changes as the player finds small and big alterations to their environment, supported by an original score, inviting each player to let their imagination take over as to where they might be. Through experimentation and discovery, players will progress through an ever-evolving series of cube puzzles that will challenge them with logic, physics, platforming. SYSTEM REQUIREMENTS PC: OS: Windows XP SP2 / Vista / 7 Processor: 2.0+ GHz (dual core recommended) Memory: 1 GB RAM Graphics: NVIDIA 8000 series or higher (Shader Model 3 Compatible) DirectX®: 9.0 c Hard Drive:1 GB HD spaceMAC: OS: OS X Version 10.6.3 or later Processor: 1.6GHz (Dual Core) Intel CPU Memory: 2GB RAM Graphics: At least Intel HD 4000 or Open GL 3.3 / Shader Model 3 Capable Graphics Card Hard Drive: 1GB Copyright © Toxic Games 2011. All Rights Reserved.